Is Shraddha Kapoor, Sooraj Pancholi & Fawad finalized for Dhadkan 2? 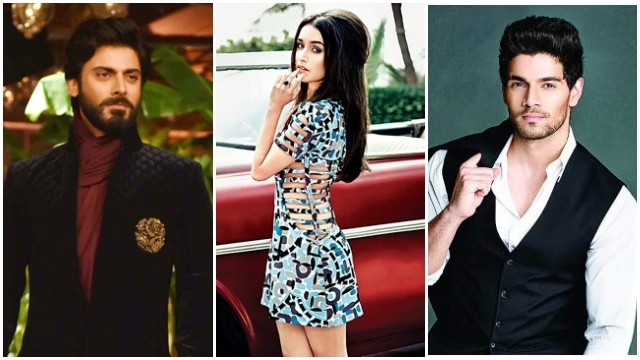 Is Shraddha Kapoor, Sooraj Pancholi & Fawad finalized for Dhadkan 2? : The wind of making the sequel of the post released movie has now is blowing for a long period of time. Say it lack of good storylines, unique picturization but, going for the sequel of post superhit flick has become the trend now and surprisingly, it’s going in favor of the makers of the films. And, the latest movie which is about to join this list is Dhadkan 2. Yes, remember 2000 released movie Dhadkan, which features the love triangle. That movie was a super duper hit. Earlier, there were rumors that the makers of the Dhadkan are now thinking to make its sequel and the three names, which are coming are of Shraddha Kapoor, Fawad Khan, and Suraj Pancholi. One year ago, Ratan Jain announced that the sequel of Dhadkan will be made and it will be titled as The Heart Beats Once Again. Also, then reports came that Sooraj Pancholi and Shraddha Kapoor have been approached to play the role of Akshay Kumar and Shilpa Shetty. And Fawad Khan has been approached to portray the role of Sunil Shetty in the original. Also, a close source to Ratan told media wing that” The core of the movie will be same like the original one and story will move around the intense love triangle. But, keeping in mind the generation gap, Dhadkan 2 will have a flavor of this generation. With this movie, Shraddha Kapoor and Sooraj Pancholi will work together for the very first time. Also, Fawad will also work with both these two for the first time in his career. It is believed that producer was looking for an actress who could do justice with the role of Shilpa Shetty in the original and their search finally came to end with Shraddha Kapoor. And, now after this news fans will eager for the official announcement of Dadhkan 2.